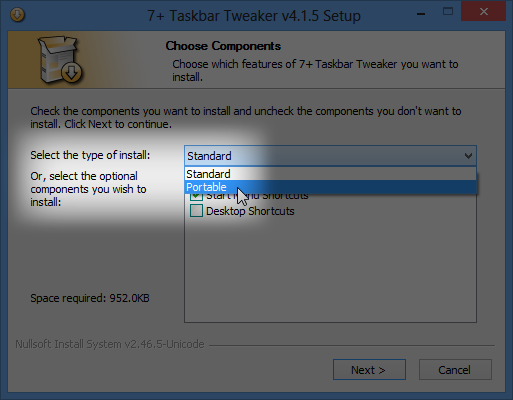 This programs enables you to tweak your Windows 7 and 8 taskbar. 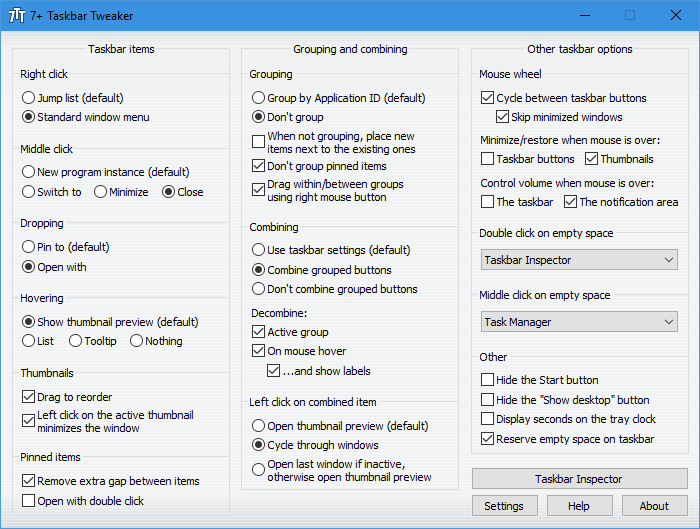 This programs enables you to tweak your Windows taskbar. - Close or focus a window on middle click instead of running a new instance. 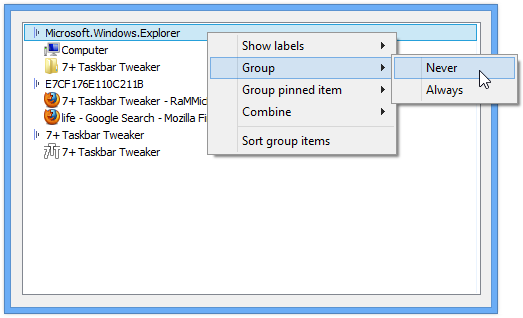 - Disable grouping of windows by file path or application id. - Cycle through windows of a grouped button on left click instead of showing a thumbnails preview.